The past decade has ushered in the era of Big Data in astronomy -- multiple surveys that image large areas of the night sky, spectroscopic programs that compile millions of spectra each comprised of thousands of data-points, and large-scale numerical simulations capable of generating Terabytes of outputs in a single run. This torrent of data is forcing the astronomical community to evolve away from traditional approaches to data analysis. Even algorithms and techniques developed for modest datasets are being overwhelmed or lack sufficient generality to efficiently extract science from the largest datasets. These challenges have inspired astronomers to introduce tools developed in the data-science industry, i.e. to apply machine-learning to pursue science in the era of Big Data. The 2019 Kavli Summer Program will be focused on the application of machine-learning techniques in astronomy. We will host lectures and research projects covering a diversity of these techniques -- random tree forests, deep learning algorithms, Gaussian processes, and more, applied to imaging, spectroscopic, and computational datasets. The program will be hosted at UC Santa Cruz and co-directed by J. X. Prochaska, A. Leauthaud, and B. Robertson. The first week will be dedicated to techical lectures on the topic of machine learning. Subsequent weeks will allow graduate students, postdocs, and faculty to collaborate on addressing some of the key outstanding puzzles in the field. To apply to the program as a student or senior participant (postdoc or faculty) please use our online application forms. 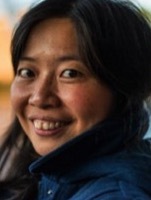 Shirley Ho is the group leader in Cosmology x Data science at the Flatiron Institute in NYC. Ho's research interests have ranged from using machine learning and statistics to tackle fundamental challenges in cosmology to finding new structures in our own Milky Way. Ho has broad expertise in theoretical astrophysics, observational astronomy and data science. Ho’s recent interest has been on understanding and developing novel tools in machine learning techniques, and applying them to astrophysical challenges. Her goal is to understand the universe’s beginning, evolution and its ultimate fate. 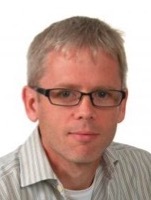 David Kirkby is a Professor in the Department of Physics & Astronomy at UC Irvine. 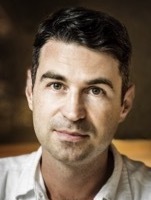 He is a survey cosmologist working on DESI and LSST, focusing on weak lensing and the Lyman-alpha forest and interested in machine learning approaches to data analysis and astrophysical modeling. He recently created a graduate course on Machine Learning and Statistics. Brice Ménard is a professor of Physics & Astronomy at Johns Hopkins University. He uses and develops statistical techniques to explore large datasets and reveal their fundamental structure and patterns. He has worked with astrophysics, geoscience, ecology and semantic data..